Dance Valley 2010 is a music wallpaper for your computer desktop and it is available in 1024 x 768, 1152 x 864, 1600 x 1200, 1920 x 1440, resolutions. 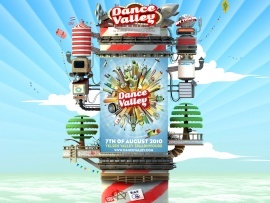 Dance Valley 2010 is part of the Events collection of wallpapers. Dance Valley 2010 music wallpaper was tagged with: dance, electro house, a state of trance, techno music, hardstyle, valley, spaarnwoude, 2010 festivals, dance events, goa dance, indie rave, mainstage, electronation, Music, Trance, club, clubbin, sound, mixer, headphones, dance, techno, electro, dj. You can download this desktop wallpaper using the links above. Also you can check the other music related wallpapers on our website. We have the biggest and best collection of trance, male dj's and female dj's in the world. Also here you can find the best dancers and the coolest dj equipment online all in hd and wide screen sizes.